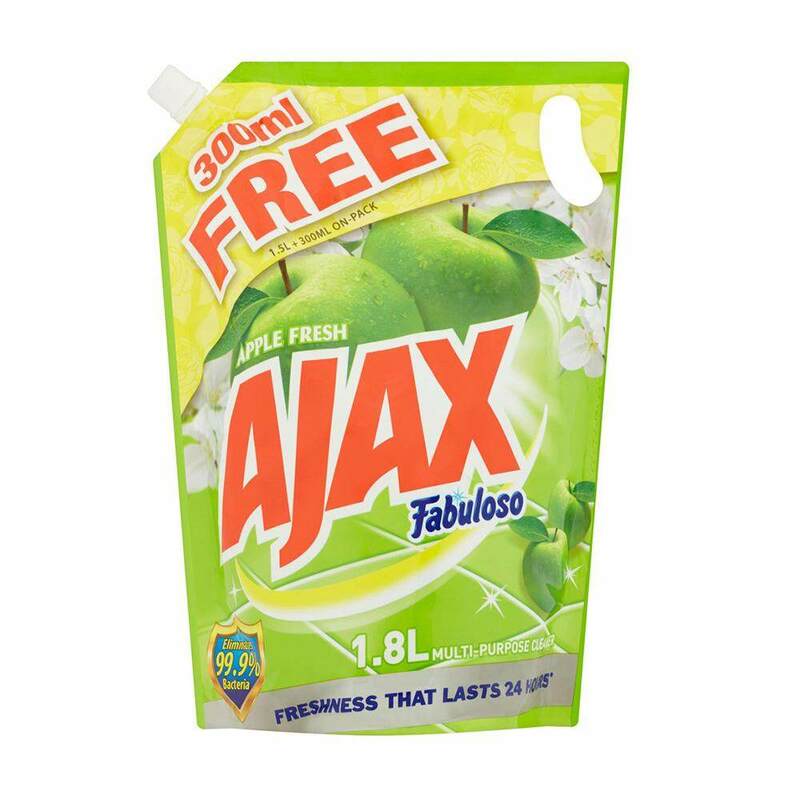 Ajax Fabuloso Apple Fresh Multi-Purpose Cleaner help you to efficiently remove stubborn stains and grease. It is also helps to kill 99.9% unseen bacteria from your household surfaces leaving your floors and household surfaces clean and shiny, with 24 hours long lasting fragrance. Suitable to be used on marble, tiles parquet, terrazzo, cement as well as countertops, cupboard interior, table tops, toilet bowls and linoleum. Seek our professional advise from our Technical Assistance. Order your printer or consumables like ink or cartridges. You can also be rest assured of our Guaranteed Original consumable products or Money Back Guaranteed program that shows our deep level of commitment in providing you the best products and services. *atoz2u's Same-Day Delivery has limited delivery areas in Klang Valley. **We will deliver your orders on the same day within business hours. Last order for Same-Day Delivery time is 11:00am, orders after 11:01am will be delivered on the following day.